The top wines are rightly the focus when a wine competition has been completed and the results announced. But there’s always more to the story, particularly when individual producers win multiple awards and demonstrate exceptional quality over a broad range of wines. That was the case at the sixth annual Winemaker Challenge earlier this month in San Diego, where a record 839 entries from ten countries were evaluated by 19 professional winemakers in a “blind” tasting (meaning the judges are unaware of the specific wines they’re being asked to evaluate). Eight different wineries were singled out in the grand awards – seven as Winery of the Year from their sphere of production, and one, Barefoot Cellars, for worldwide value. Castello Banfi was named Winery of the Year, Europe. Along with its Banfi division in Italy’s Chianti region, the Castello amassed 11 medals, including four platinum awards. The star of the Banfi show was its 2010 Brunello di Montalcino ($75), but its 2013 San Angelo Pinot Grigio ($19) also won Best of Class. 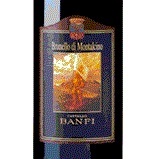 Banfi also won platinum with its 2011 Chianti Classico Riserva ($19). The latter two wines are a steal at the price. Barefoot Cellars wore the crown of Winery of the Year, Worldwide Value. Barefoot produces millions of cases of inexpensive non-vintage wines that retail for less than $10. The Barefoot wines hauled in 27 medals, including a platinum award for its Barefoot Cellars Syrah at $6.99. Anyone who wants to drink tasty wine on a limited budget needs to become familiar with Barefoot Cellars, Barefoot Bubbly and Barefoot Refresh. Giesen took Winery of the Year, Southern Hemisphere, with an impressive performance that included two platinum awards and four golds from 11 medals overall. This winery from Marlborough, New Zealand, specializes in sauvignon blanc, but has recently made a huge statement with several outstanding vineyard-designate pinot noirs, including the 2012 Waihopi Vineyard Pinot Noir ($65) that took platinum and earned a score of 94 points from the winemakers. J. Lohr was named Winery of the Year, California Central Coast following a monster performance that included four platinum awards, four gold awards and 16 awards overall. The platinums were the 2011 Cuvee St. E, Paso Robles, $50; 2012 Carol’s Vineyard Cabernet Sauvignon, St. Helena, $40; 2012 Tower Road Petite Sirah, Paso Robles, $35; and 2012 ‘Gesture’ Syrah, Paso Robles, $30. Swedish Hill held up the honor of New York’s Finger Lakes region and was named Winery of the Year, Eastern United States with seven medals, including three golds, one of those an impressive non-vintage sparkling blanc de blanc that retails for a mere $14.99. It also won gold with a 2012 cabernet franc/lemberger blend ($15.99) and its 2013 ‘Blue Waters’ Gewurztraminer ($13.99). Thornton Winery in Temecula, on the comeback trail after a bad patch, scored the crown as Winery of the Year, California South Coast with six medals including two platinums, a gold and a Best of Show Sparkling award for its non-vintage brut rose ($38). Thornton was once known for its exceptional bubbly under former winemaker Jon McPherson, but fell upon hard times after McPherson departed for South Coast Winery. The wines went downhill, but winemaker David Vergari was brought in three years ago to reverse the trajectory and there is evidence he has turned things around. Villa Bellezza is located in Wisconsin and sources most of its grapes from the Upper Mississippi River Valley, the largest wine region in the United States. With two platinums and one gold it took honors as Winery of the Year, Midwestern United States. The platinums were for the 2013 Cinque Figlie ($25), a slightly off-dry red made from the frontenac grape, and its 2013 Frontenac Gris Icewine ($35). V. Sattui earned the title of Winery of the Year, California North Coast with yet another impressive wine competition performance. The Napa Valley winery took 27 medals overall, finishing in a tie for most medals with Barefoot. Included in its haul was a platinum award for its 2011 Preston Vineyard Cabernet Sauvignon, Napa Valley ($60) and Best of Class awards for the 2012 Cabernet Franc, Alexander Valley ($37); 2012 Grenache, Napa Valley ($35) and 2012 Old Vine Zinfandel, Russian River Valley ($33). Complete results for the 2015 Winemaker Challenge can be found at WinemakerChallenge.com.